Events of the recent days clearly show the emergence of a new alliance in the Middle East that is willing to work in close cooperation to seek the solution to the Syrian conflict. This fact is not only evidenced by Russia starting to use the Hamedan Air Base in Iran to launch strikes against ISIS targets in Syria, but also by the development and strengthening of bilateral cooperation between Ankara and Tehran. Moreover, Turkey’s President Tayyip Erdogan has officially announced his intentions to visit Tehran with an official visit. According to Iran’s Fars news agency, this visit is extremely important for the establishment of a new level of relations between Tehran and Ankara. It’s been announced that the meeting will partially be focused on the organization of the cross-party meeting of Iranian, Turkish and Russian officials to discuss strategies that would allow those players to put an end to the war in Syria. 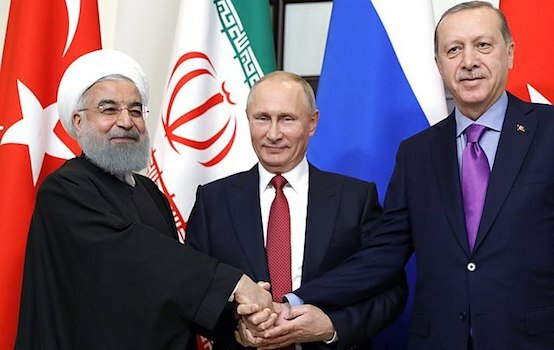 According to various observers, this visit will be the official start of the formation of the Russian-Iranian-Turkish alliance on Syria, Fars news notes. The Time would declare right off the bat that this meeting will mark the appearance of the new anti-US axis of evil in the Middle East. The fact that Putin has been advancing rapidly in the the Middle East has been pointed out by the Austrian newspaper DiePresse. According to the newspaper, the fact that Russian air strikes are being launched from the Iranian airfield against terrorists in Syria has deep symbolic significance, since Moscow and Tehran are showing that they began to work more closely on Syria, manifesting to the world and above all the United States that Russia is here to stay in the Middle East. The New York Times would note that the new level of Russian-Iranian cooperation in Syria leads to the conslusion that Washington committed a major mistake by refraining from creating so-called “safe zones “and large-scale military operations in Syria, leaving a loophole for Russian to enter this war on its own rules. 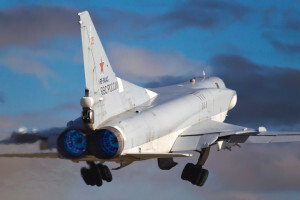 According to American historians and officials, the fact that Tehran allowed Russia’s warplanes to use its territory is a milestone development. This step has not simply granted Russia’s aircraft tactical advantage, but also looks like a part of the larger plan to attempt the creation of a broader coalition to settle the Syrian conflict. 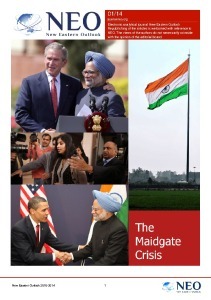 The Times is convinced that Obama should wake up to fact that he has virtually created a new military axis in the Middle East that is being held together by Russia’s Iran’s and Turkey’s contempt towards Washington. The rapidly developing military ties between Russia and Iran have been reported by The Wall Street Journal, that would note that Moscow and Tehran are strengthening their cooperation after the Iran nuclear deal being signed by President Obama. This step was immediately followed by Russia’s decision to sell advanced anti-aircraft missile systems S-300 to Tehran. The French Le Figaro has also noted that the allies in the Syrian conflict, Iran and Russia both refrained from establishing direct military ties officially for a long while. However, once the agreement on the Iranian nuclear program was signed, both Moscow and Tehran advanced on this path, which was a truly unexpected development for Western powers. French analysts are convinced that Moscow would take full advantage of the weak posture of the Obama administration in the region, since Putin used the war in Syria to speed up Russia’s return to the international scene as the lead actor.